No, this is not a postcolonial nostalgia fetish show. It is a fitting tribute to a lyrical colorist who absorbed the hues, tints, architectures, and atmospheres of India. 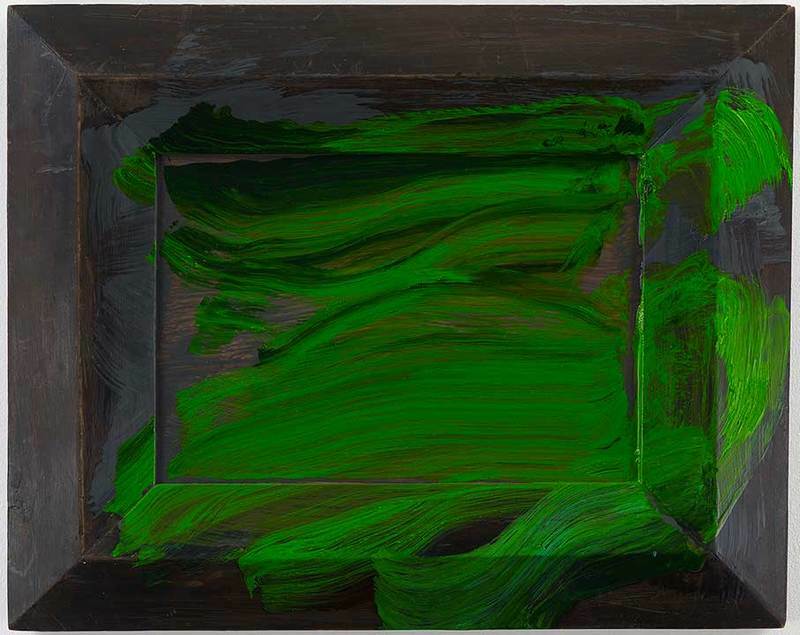 "Painting India" provides a Howard Hodgkin mini-retrospective through the lens of his obsession with the subcontinent. He visited many times, and works such as View (Sunrise at Mahabalipuram) (1970-71) offer examples of the earlier, hard-edge, Leger-like abstractions that it inspired. Hodgkin immersed himself in the artistic past and present of India and supported many contemporary artists working there. But the aesthetic influence is subtle if it is there at all. He moved along a trajectory towards radiant, pure abstraction all his own, as witty green washes across a repurposed cutting board in Evening (1994-95) attest. With narrative dramas of color and form such as Mrs Acton in Delhi (1967-71) and From the Terrace, Bombay 2016-17, we have a rich and satisfying portrait of a great artist's life.